In the mid-1800’s, Impressionist artists began painting on location, or ‘En Plein Air’ – a French term meaning ‘in the open air’. Prior to the invention of the metal tube in the 1840’s, most landscapes were painted in the artists’ studios as they had no way to store or transport their hand-mixed paints. Impressionism is one of the best-known art movements of the past two centuries. It began to flourish as artists around the world left their studios to study the light and atmosphere in nature and paint on site with their now transportable tubes of paint. Today artists seek to capture that same intriguing light and shadow outdoors, and gather in ‘plein air’ events across the country, turning ordinary scenes into extraordinary works of art. What makes EnPleinAirTEXAS different from the other events across the country? 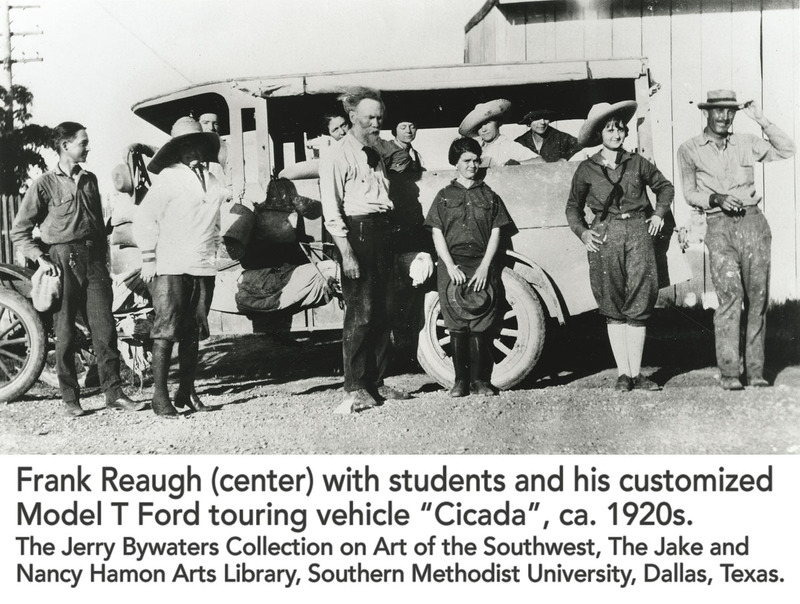 In 1921, in tiny Christoval, just south of San Angelo, local artists founded the Texas Artists Camp which grew to be one of the leading plein air gatherings in the Southwest. 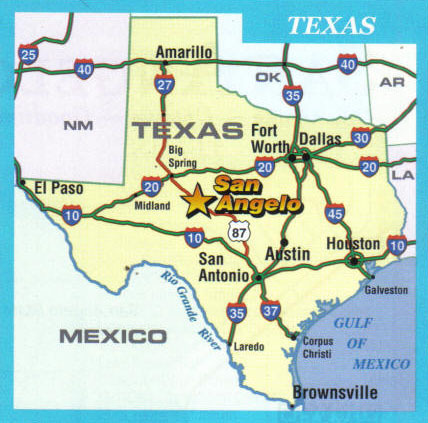 Find out more under the "TOUR SAN ANGELO" button. That same inspiration attracting those early painters when they arrived 'way out west', is alive today for the Competition Artists of EnPleinAirTEXAS. 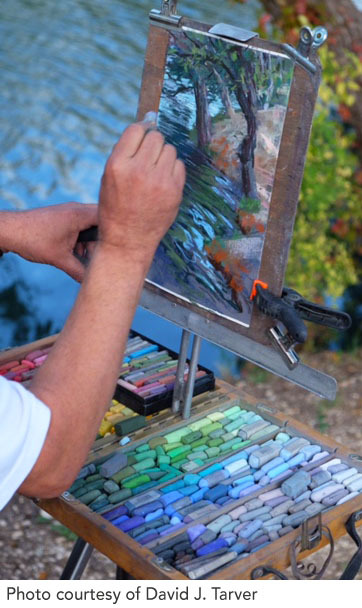 EnPleinAirTEXAS is a legend among the plein air artist community and in only it's 5th year, one of the top plein air competitions in the country, attracting award-winning artists from around the world. How did this happen? The prestige and success of EnPleinAirTEXAS comes down to the details. Importantly, the artists are selected, and the competition is judged, by nationally respected jurors and judges in the field of art. Also important is the fact that the event is run by a nationally awarded and respected museum, The San Angelo Museum of Fine Arts. Awards given by a museum are more highly regarded among all artists. Their paintings are exhibited and are for sale during the final weekend in the Quartermaster Building at Fort Concho, a National Historic Landmark built in 1868 and the first home of the San Angelo Museum of Fine Arts. New in 2017, EnPleinAirTEXAS and the 64th Annual San Angelo Roping Fiesta teamed up to present a one-of-a-kind opportunity for the Competition Artists. Artists may spend the day at the San Angelo Fairgrounds painting the top 30 roping cowboys in the WORLD, along with youth showing their prize goats and lambs at a Junior Livestock Show. During the week, Artists are invited to historic private ranches to spend the day and PAINT as well as be welcomed by the ranchers themselves and their West Texas Hospitality. The community and visitors alike have embraced the artists, housing them in their homes, and helping sales of artwork top a record-breaking $243,000 in 2017. From the beginning, volunteers committed to detail and generous community support have allowed us to offer substantial prize money, singular events and painting sites found nowhere else in the world. Be the first to see and purchase one of the week’s paintings (more than 275) at the Art Collectors STAMPEDE*! Come watch for free or PAINT in the Open ‘Quick Draw’ ($10 registration for artists) held this year at the San Angelo Fairgrounds! Watch as these award-winning artists from across the country try to capture the action of the top cowboy ropers in the world at the 64th Annual San Angelo Roping Fiesta*! Enjoy a genuine Chuck Wagon Breakfast* with the artists and view and purchase the paintings from the week in the free exhibit at Fort Concho. EnPleinAirTEXAS aspires to change and enhance the culture of San Angelo, giving us a prominent spot in the international plein air movement and showcasing SAN ANGELO as a national arts destination. The dream of the San Angelo Museum of Fine Arts is to connect the area's unexpected plein air history with our West Texas community and with artists from around the world, and to create an ongoing artistic dialogue, increasing the visibility and participation in plein air painting with children, adults, and smaller West Texas communities. For information on how you can become a patron of this amazing event with your tax-deductible donation, click here.